Is it feasible to keep firewood outside in a lean-to not right before burning or is it required to keep firewood inside all times to protect it from getting wet? Very simply, the drier the wood, the more efficiently it burns, and the easier it lights. A lean-to on the downwind side of the house is very common as a long-term wood store (there's generally a prevailing wind direction; this is often, but not always, the same as the direction the wind blows most often when it rains). 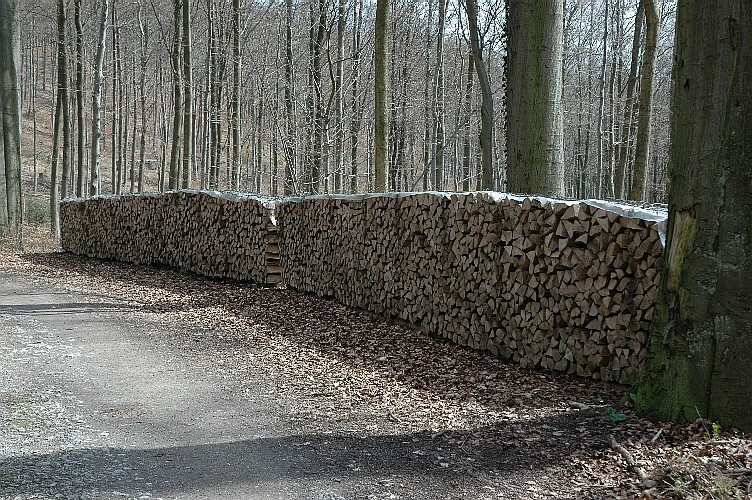 Bringing wood into the house for a few hours or days before burning does little to dry the bulk though it helps dry the surface and make it easier to light. So indoor storage is more important for kindling (thin sticks used in getting a fire started). Tinder (easily ignited material used in starting a fire, such as newspaper or dried grass) must be completely dry. Once a fire is established it can burn quite wet wood, but this wastes a lot of heat in the form of steam out of the chimney; the lower combustion temperature also means more smoke, which is a further sign of inefficient burning. One good reason for keeping a day or so's supply in the house is to reduce the effort and time taken bringing it in, while letting less cold air in. So taking a log basket to the wood shed each day and bringing it back in full could be part of the morning routine. Chopping may be required at this stage. The first wood used to get the fire going again in the morning would probably be kept in the house overnight as it needs to be dry; this might be the last few pieces in the log basket before fetching more. Yes, many (most?) people keep their firewood outside. You may want to bring it inside a day prior to burning to maximize the amount of BTU so that it burns hotter and also create less residue (creosote). For outside protection you may cover just the top of the firewood with a tarp/plastic to limit the amount of rain/water pouring onto your cord of wood. Often leaving only a foot of overhang as to not restrict air flow. We have enough rain and moisture so that having some kind of roof over the wood is good. Nowadays, no problem (lean-to with sheet metal roof or just tarp or sheet metal on the stack work well). I doubt this was done in medieval times, though. I wouldn't put it that far up on the priority list: a shed would certainly be more useful for keeping your hay and grain (food in general) dry over winter and I doubt there was so much suplus productivity to build sheds for wood. Personally, we don't have that, but we have a storage for about 2 m³ in the basement where our furnace is. Main point of this is less to dry the wood but to avoid bringing mud/snow/moisture with your shoes into the house (the wood is dumped into the basement through a slide). You can leave oak for decades sitting around in just a flat topped stack. The uppermost few pieces will rot, and soil will form and this will be a bit like a grass roof. Below the wood will be reasonably dry (i.e. at a moisture level suitable for burning). Beech, OTOH, will rot very fast. Spruce and pine are somewhat intermediate. So is cherry. rather short pieces are needed for stoves like this "kitchen witch" which AFAIK were introduced in the 18th century and their heating furnace counterparts. They are used with more evenly sized pieces of wood: only comparably small pieces of wood fit in there, but you don't want to have them too small, neither. In medieval times, AFAIK open fireplaces were used for cooking, and I'd guess that common people did not have masonry stoves (which anyways were built suitable for large pieces of wood). I doubt anyone put in the work to saw the wood into evenly sized pieces without a compelling need to do so. Our neighbour who used to be a farmer and is now approaching his 90s says: an (economically) healthy farm should always have [own] 3 harvests: one on the field, one in the barn and one in the bank. This translates to one bad year will not immedeately throw the farm into disaster. And you cannot rely on a bad year being immediately followed by a good year. Same goes for wood: a wet and stormy winter can hamper your forestry work quite a bit. Or illness. Again, I doubt the corresponding level of wealth was reached in medieval times here (e.g. 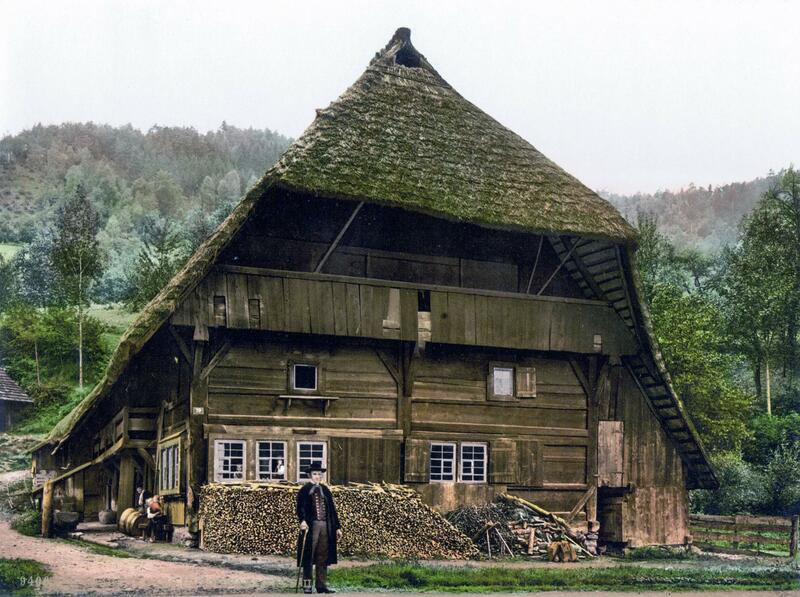 Herden: Die Bevölkerungsentwickung in der Geschichte, 2007 says that western Europe had 450 famines between 1000 and 1885 - this is indication that people weren't able to accumulate wealth to allow dealing with single bad harvests. 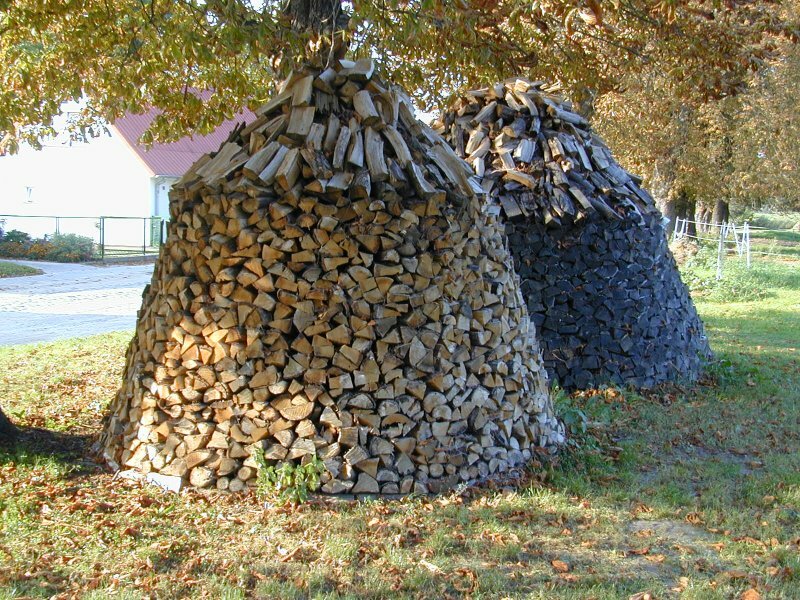 My guess is also that under these circumstances, noone has time and energy to gather wood to stack in excess of the immediate need, nor would it be advisable as it probably would have been stolen anyways). Personally we store our firewood outside (lean-on) and bring a bucket full inside before we use it. We never had a problem doing so, but we do have a roof over it outside. We only use thoroughly dried firewood and even if it gets wet on the surface with the rain it dries quickly again. Not the answer you're looking for? Browse other questions tagged weather rain firewood or ask your own question. Mountain guide leading towards a thunderstorm - does his explanation make sense? Do self-inflating sleeping pads have to be kept dry during trips?